Cheat engine is a tools that help in debugging application most especially games. You can now download cheat engine tools which designed to help you with modifying single player games running under window so you can make them harder or easier depending on your preference, but also contains other useful tools to help debugging games and even normal applications. Cheat Engine can help you save some time and cut corners on a few video games. It's a great option if xyou're into a game but don't want to invest more time in the game than you have to offer. CLICK THE LINKS BELOW TO DOWNLOAD ? 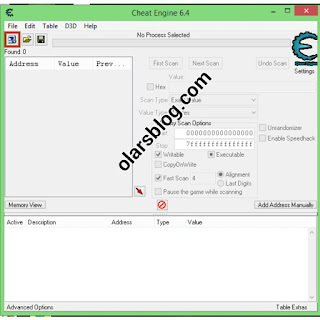 If your cheat engine is downloaded successfully then go ahead with your installing , after installation then click on the link to know how to use the application properly. Though am not expecting the question from regular user but am going highlight the steps to follow for the new users.